Most U.S. grown artichokes come from California, and ‘chokes season runs from March through June (and then again during the fall). Why should you make them a priority this month? 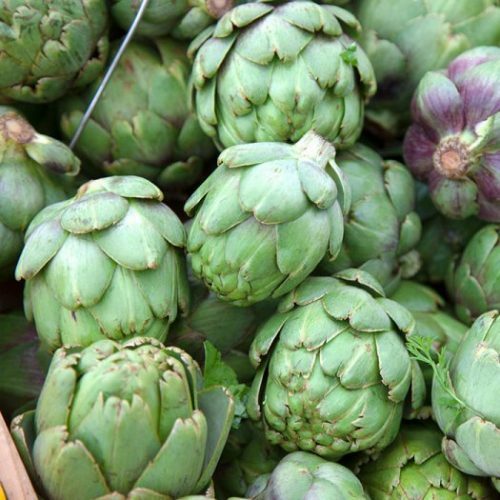 One steamed artichoke has around 65 calories and a whopping 10 grams of fiber, and they’re an excellent source of vitamin C, folate, and potassium. Plus, they contain the antioxidant silymarin, which helps protect from heart disease and helps your liver do its job. These babies were originally discovered in 1976 at Hacienda Cara Cara in Venezuela. Now, they’re grown in California and available December through April. 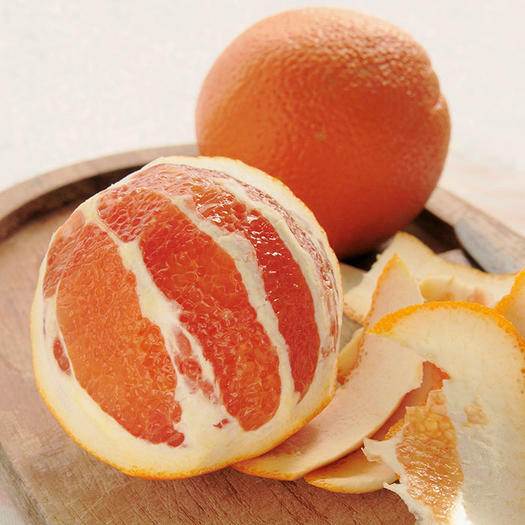 This orange has reddish-pink flesh and a sweet, tangy flavor similar to strawberries and cranberries. 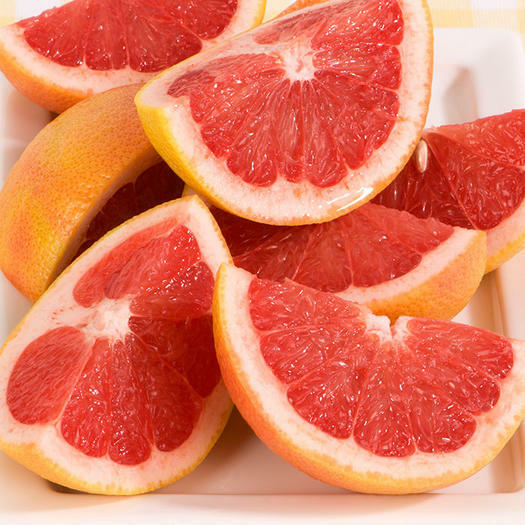 Because they’re seedless, many folks prefer using them in recipes like fruit salad, salsa, or dipped in dark chocolate. Yum! 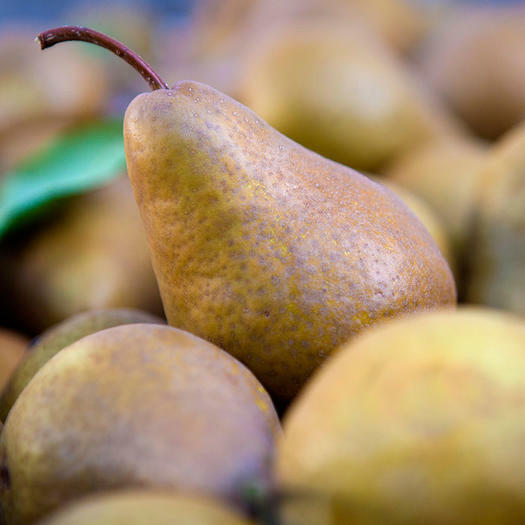 Both the green and red varieties of Bosc and Anjou pears are now in peak season. One medium pear is has about 70 calories and 6 grams fiber, which is 24 percent of the recommended daily value (we can’t complain about that!). Pears can be baked, poached, roasted, or grilled. Plus, fresh pears can be added to smoothies, spinach salad, or fruit salad. Pro tip: apply gentle pressure to the neck of the pear with your thumb. If it’s firm, it’s ripe. Also called Chinese cabbage, bok choy is at its peak during the winter months. It has a sweeter flavor than red or green cabbage, and can be used in most recipes calling for raw or cooked cabbage. 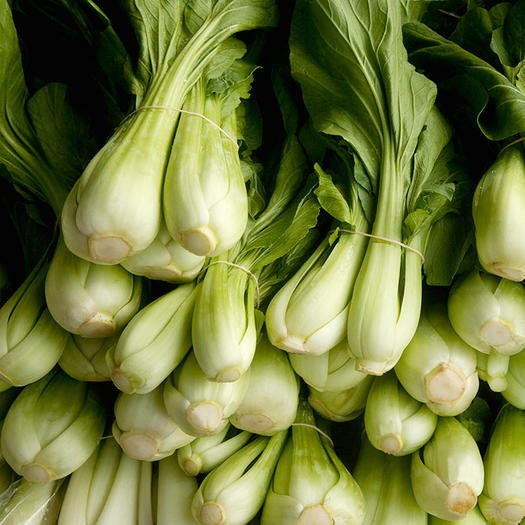 Choose boy choy with firm, smooth, white stalks and dark, crisp greens. Avoid those with wilted, broken, or spotted leaves, limp stalks, or any discoloration. These gold oranges are grown in California and Florida and are available January through June. Unlike other citrus fruits, kimquats have a pale orange rind that you can eat (it’s the sweetest part of the fruit!). Inside, the flesh and juice are sour. Kumquats also have seeds that are super bitter and that you shouldn’t eat—spit them out or remove when cooking. 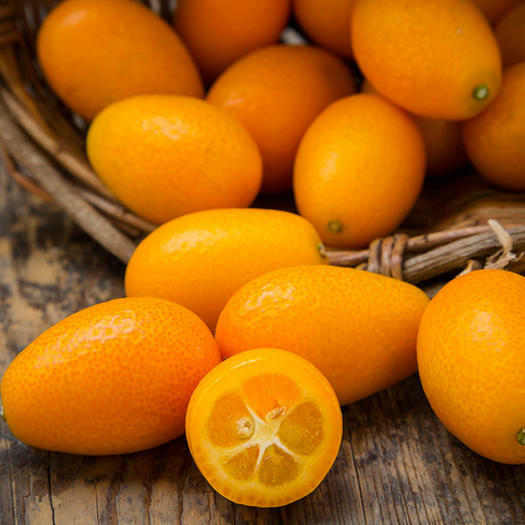 One kumquat has only 14 calories and 14 percent of your daily recommended dose of vitamin C, so snack on ’em fresh, muddle in cocktails, or bake into muffins, breads, or cakes. 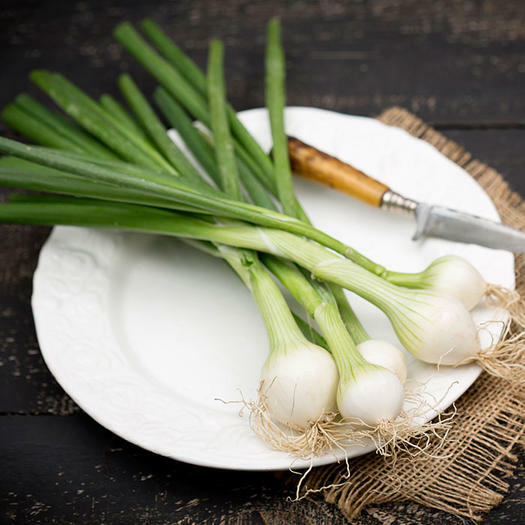 Also called green or spring onions, scallions are in season beginning late March. They’re slightly sweeter than onions, with a slight peppery bite. For the best flavor combo, use the green tops for sweetness and white ends for crunch. Scallions are versatile and can be added to most any dish where you want a hint of onion-y flavor, like pasta salads, soups, pizza, guacamole, salad dressing, and scrambled eggs. This member of the mustard family has a slight peppery flavor. 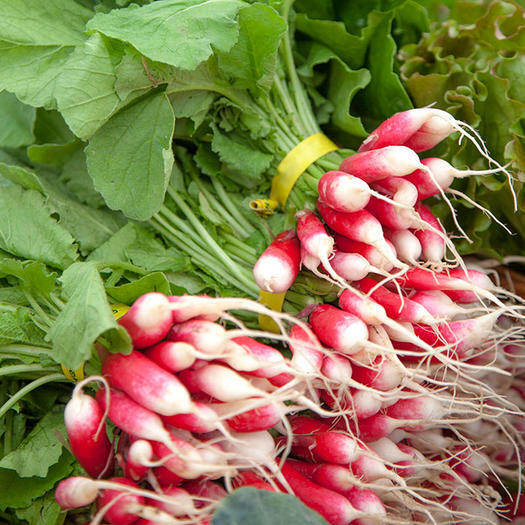 Radishes can be found in a variety of colors, ranging from red to purple to white to black, and this low-calorie superstar has 20 calories per cup and is brimming with vitamin C, folate, potassium, and folate. 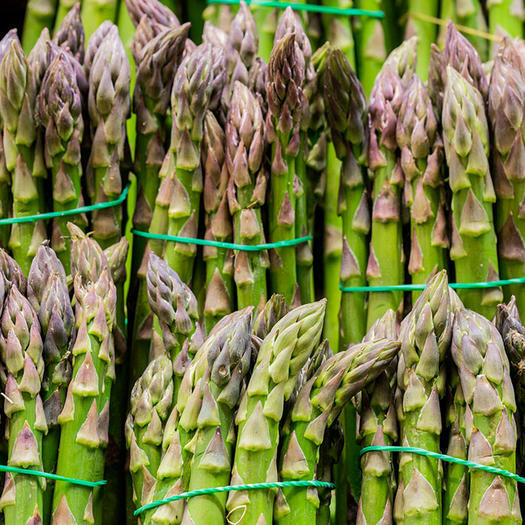 Munch on them for a snack, or sauté, braise, glaze, or pickle them. 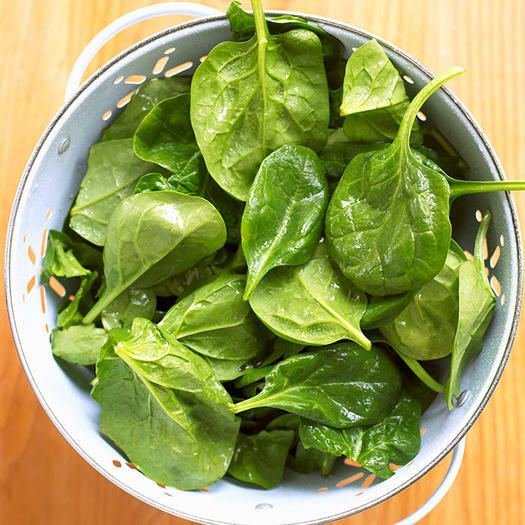 And don’t forget about the leaves—they can be added raw to salads or cooked like spinach.